A Year of Being Here: Rachel Contreni Flynn: "The Yellow Bowl"
"The Yellow Bowl" by Rachel Contreni Flynn, from Haywire. © Bright Hill Press, 2009. 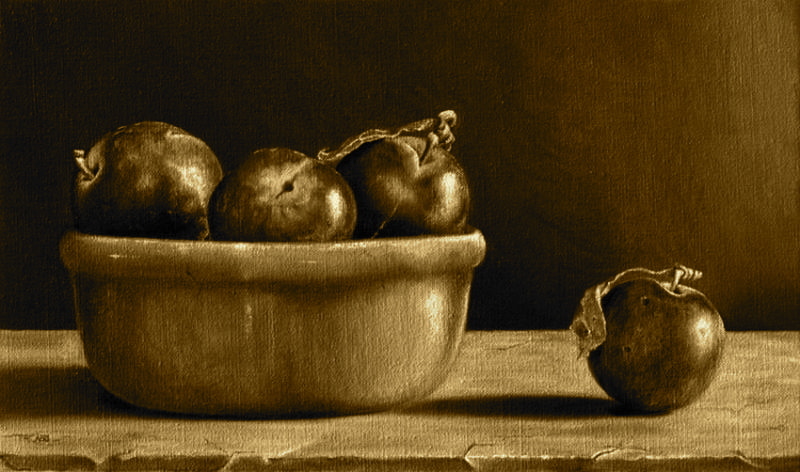 Image credit: "Still Life with Bowl and Plums," oil painting by Brunella Neri (originally color). Lovely, both the poem and the painting.